So Sorry no, CargoMaster delivers international shipping containers from Australia to Africa (including Sierra Leone) and all around the world. CargoMaster offers Freight Forwarding services (including shipping heavy machinery) and Self Pack International Shipping Containers from Australia to Africa and from Africa to Australia and world-wide ,CargoMaster is not an International removalist (be careful, don’t let anyone pull the wool over your eyes, their is a difference!) however call us anyway, we know and are happy to recommend reputable Australian removalists! CargoMaster offers a very broad range of shipping and freight forwarding services to most destinations in Africa. In the unlikely event that CargoMaster does not offer the particular shipping service you are looking for, CargoMaster will recommend a reputable, established and professional Australian Freight Forwarder to help you, so again, call us anyway, CargoMaster has many Freight Forwarding friends, both here in Australia and all around the world! CARGOMASTER works with a INTERNATIONAL TEAM OF CONNECTED AND DEDICATED TRANSPORTATION PROFESSIONALS. CargoMaster is a FULLY INSURED, INTERNATIONAL SHIPPING COMPANY (or International Freight Forwarder), boasting 35 YEARS TRANSPORTATION EXPERIENCE . CargoMaster is renowned for delivering COST EFFECTIVE international shipping solutions to and from Africa, we have been SHIPPING CONTAINERS AND ORGANISING THE URGENT UPLIFT OF AIR FREIGHT TO SIERRA LEONE FOR OVER 15 YEARS, SAVING OUR CLIENTS THOUSANDS OF DOLLARS in international shipping costs, CargoMaster has moved hundreds of containers from Australia to Freetown and ALL OVER WEST AFRICA, shipping all types of cargo including machinery,excavators, cars,buses,mining equipment, industrial machinery,clothing,second hand goods and personal effects ,the list is endless!CargoMaster offers you a PROVEN, TECHNOLOGICALLY ADVANCED World-wide team of real EXPERIENCED PROFESSIONALS, CargoMaster KNOW-HOW to get your goods to Sierra Leone, QUICKLY AND COST EFFECTIVELY. CargoMaster looks after all your Australian export customs documentation ( including assistance with your BIVAC PRE SHIPMENT INSPECTION AND DOCUMENTATION, if required) and delivery of your empty container, ready for packing ,to your nominated address.Once your container is packed (and SECURITY LOCKED,with your CargoMaster issued numerical bolt seal) and ready for pick up , simply call CargoMaster for collection and SAFE SHIPPING TO SIERRA LEONE ! REMEMBER, when you work with CARGOMASTER your backed by an EXPERIENCED international shipping team, offering you an ESTABLISHED and PROVEN, TECHNOLOGICALLY ADVANCED international shipping network. We offer our shipping services to Sierra Leone as SPECIALISTS, with SECURITY, INTEGRITY and PROFESSIONALISM. 20′ AND 40′ SHIPPING CONTAINER TO FREETOWN FROM AUSTRALIA, GREAT DEALS BIG BIG SAVINGS CALL NOW! 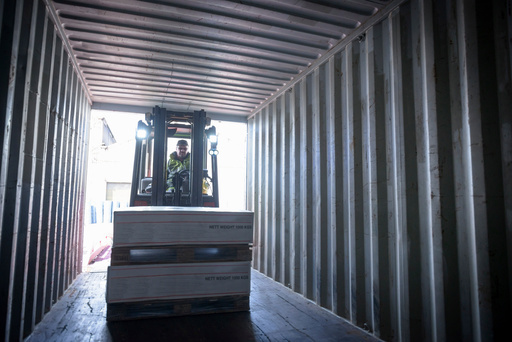 SELF PACK INTERNATIONAL SHIPPING CONTAINERS TO FREETOWN, SIERRA LEONE. Great deals available to most African cities,for anyone moving overseas to Sierra Leone, CargoMasters international moving containers will save you lots of money , you pack the container and CargoMaster will arrange customs documentation, all your export paperwork and shipping to all major cities in Africa. Sierra Leone gained independence in 1961. Freetown ,Sierra Leone’s capital once was a destination for slaves. The long civil war (1991 to 2002) killed an estimated 50,000 and displaced over two million people out of a total population of six million. In 1999, the United Nations set up the UN Mission in Sierra Leone (UNAMSIL) to implement the Lomé Peace Accord which was intended to end the civil war. UNAMSIL completed its mandate in December 2005. The Military were made responsible for security following the departure of UN peacekeepers at the end of 2005, has developed as a guarantor of the country’s stability; the armed forces remained on the sideline during the 2007 and 2012 national elections. Sierra Leone Government priorities include furthering development – creating jobs, and stamping out endemic corruption. Sierra Leone’s major mineral exports are diamonds, titanium, bauxite and gold and it has large deposits of rutile. Despite the abundance of its natural resources, the majority of the population are very poor and live below the poverty line.